Susan F. Russell, L.M.S.W., Dipl.Acom, PH.D. I.E.M., TH.D.,is the Director of Turning Point Healing Center, LLC, a multi-modality educational healing center located in Marietta, Georgia. Her background as a psychotherapist allows her to incorporate a deeper understanding of underlying emotional patterns that often influence an imbalance in one’s body. Susan’s fluency in five languages allows her to work with a multi-cultural client base. Holding a Doctor of Integrative Energy Medicine and Holism, Susan offers bioenergetic therapies including: N.A.E.T., REIKI, Hypnotherapy, Flower Essences, Auricular Detox, Smoking Cessation, Mental Feng Shui and Facial Rejuvenation. Guest speaker on “Change Your Mind, Change Your Life” with host Suzi Marsh, L.C.S.W. 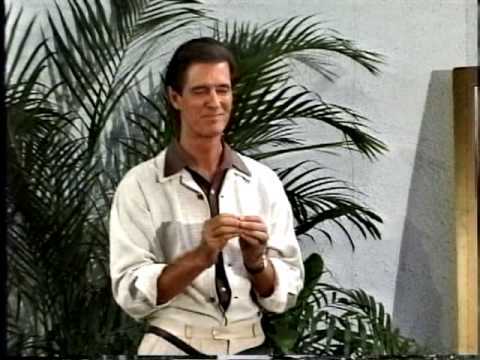 , Dr. Russell spoke regularly on the subject of Bioenergetics and Body/Mind Psycho-Energetics. Susan actively practices Qi Gong and Meditation. Susan is also the grandmother of two bright and happy grandchildren. Dr. Russell and Turning Point Healing Center are very fortunate to work with extraordinary people and organizations, each contribute their own unique skills and products to our practice. The Seminary serves as an institution that amplifies the research dealing with spiritually-based holistic healing. Extending its Judeo-Christian heritage, it emphasizes completely ecumenical and spiritual approaches that fulfill a growing need in contemporary communities. 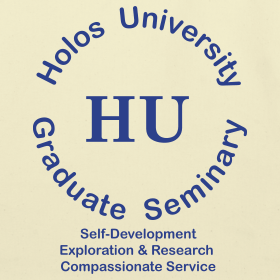 As a Seminary, Holos places special emphasis on the spiritual aspects of its studies and research. As a University, Holos strives to uphold the highest standards of excellence in teaching and scientific research and seeks to serve as a bridge between primarily academic institutions and primarily religious institutions. Dr. Norman Shealy founded the first comprehensive pain and stress management facility in the country. He is well known as one of the pioneering holistic physicians of our time, founded The Shealy Institute, and has acted as consultant to leaders in every specialty, including the personal physicians of Presidents Kennedy and Eisenhower. C. Norman Shealy, M.D., Ph.D. is a neurosurgeon, trained at Massachusetts General Hospital, after medical school at Duke University. He has taught at Harvard, Western Reserve, U. of Wisconsin, U. of Minnesota, Forest Institute of Professional Psychology. He was the founding president of the American Holistic medical Association. Currently he is President of Holos University Graduate Seminary, which offers doctoral programs in Spiritual Healing and Energy Medicine. He introduced the concepts of Dorsal Column Stimulation and Transcutaneous Electrical Nerve Stimulation (TENS), both now used world-wide. In 1971 he founded the first comprehensive, holistic clinic for management of pain and stress management. The Shealy Institute became the most successful and most cost-effective pain clinic in the U.S, with 85% success in over 30,000 patients. The Shealy protocols for management of depression, migraine, fibromyalgia and back pain are increasingly being integrated into hospitals and individual practices. The Shealy Wellness Center focuses now on these 4 major chronic problems. In 1992, Dean Martens founded Herbs of Light, Inc. as a vehicle to assist people in regaining their health. He lectures throughout the country on “Taking Responsibility”, which examines the lifestyles that bring back and maintain health and the role of herbs within that process. Dean believes that true medicine “does not hurt the patient”. It assists in truly bringing health back and pre-dates recorded history. Hippocrates knew this well. Please read the first statement of the Hippocratic Oath! Herbs of Light makes special blends for Turning Point Healing Center which you can order here at the TPHC Shop. Dr.Sankey is an iridologist, naturopathic physician, and acupuncturist. 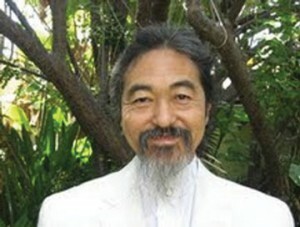 He has been studying and integrating the teachings of The Ancient Wisdom for over 38 years. Dr.Sankey received his Masters Degree in Acupuncture and Oriental Medical schooling at SAMRA University of Oriental Medicine in Los Angeles, California and Doctorate in Oriental Medicine from the American Liberty University in Orange, California. He received his Doctorate in Health Sciences from Honolulu University, specializing in Iridology and Nutrition. He also has years of experience in Shiatsu Massage and Reflexology. Dr.Sankey is a licensed Acupuncturist in the state of California and is currently in private practice with his wife, Kathleen A. Sankey, O.M.D., LAc.in the Los Angeles area. Dr. Devi S. Nambudripad discovered “Nambudripad’s Allergy Elimination Techniques” or NAET for short–a holistic, non-invasive treatment used in eliminating food and environmental allergies often permanently. An acupuncturist, chiropractor, and a kinesiologist in Buena Park, California, Dr. Nambudripad, began conducting research in 1984. Her Goal: Solve physical problems which had plagued her since birth and help others with similar problems. Her research resulted in the development of a new and effective approach for diagnosis and elimination of allergies of all types. Dr. Nambudripad utilized existing medical knowledge from various fields of medicine and combined this with her own discoveries. NAET was developed by Dr. Devi S. Nambudripad, a California acupuncturist, chiropractor, and a kinesiologist, in an attempt to relieve herself of severe allergic symptoms suffered since her birth in Kerala, South India. While working on her Ph.D. at Samra University of Oriental Medicine in Los Angeles, she observed that people presenting allergic symptoms often responded favorably to acupuncture or acupressure treatment. After recognition of the systemic relationship between contact with an allergen and the resulting neuro-physiological effects produced in the body, she began to discover the key to the mystery of how the brain may be reprogrammed in its response to what it once took to be harmful or toxic. Her own experience and personal interest led her to develop the method later referred to collectively as NAET, and to specialize exclusively in the diagnosis and treatment of allergies. She has trained more than two thousand medical practitioners from all over the world (chiropractors, acupuncturists, allopathic medical doctors, dentists, doctors of osteopathy, doctors of veterinary medicine are some among the group). To date, thousands of patients successfully have been treated, with permanent and amazing results. Various studies to prove the effectiveness of NAET are now underway.